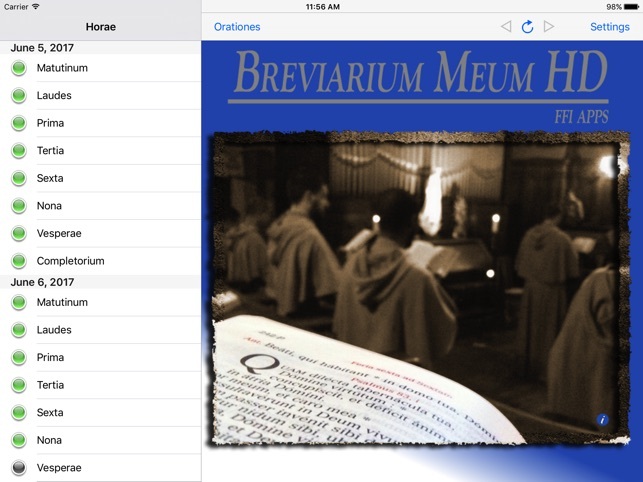 This is the iPad version of Breviarium Meum, which allows you to pray the traditional (1962 or earlier) Latin breviary of the Catholic Church wherever you go. 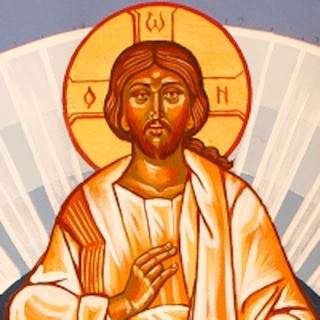 You can download the texts up to a week in advance, so you can pray even when you don't have a network connection. 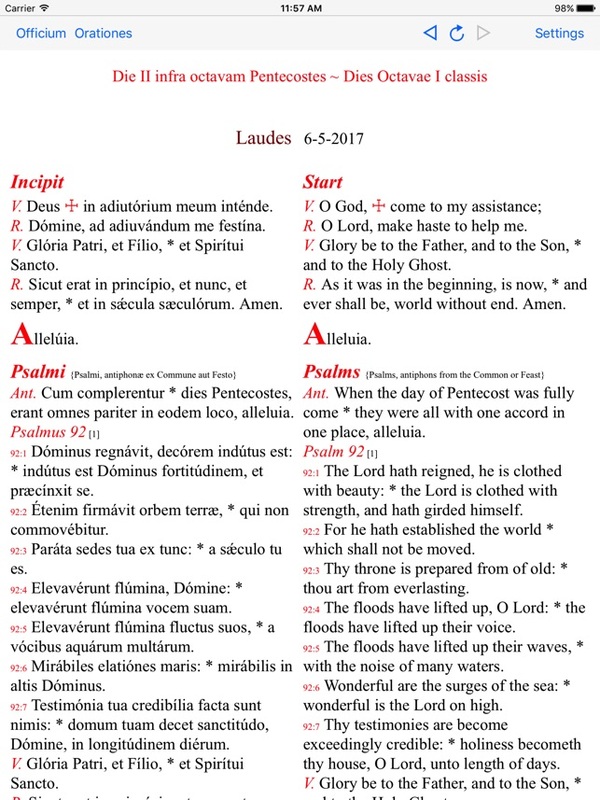 A parallel translation of the breviary (English, German, Italian, French, Polish, or Hungarian) and an collection of Latin prayers and blessings are also included. Select the background color and text size you prefer. 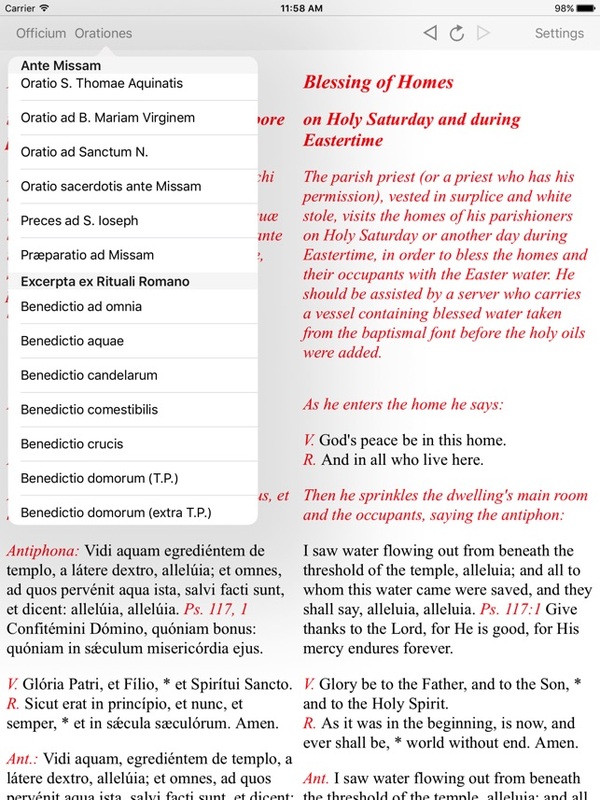 Pray the breviary you know in a new way, or get to know for the first time the Roman Liturgy in the Usus Antiquior, considered by Summorum Pontificum as a precious treasure to be preserved and made accessible to all the faithful. 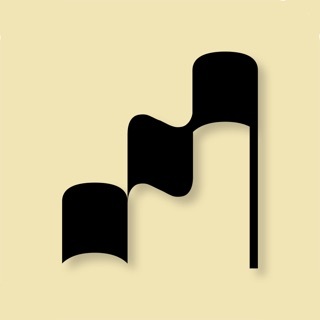 This Application is fantastic! 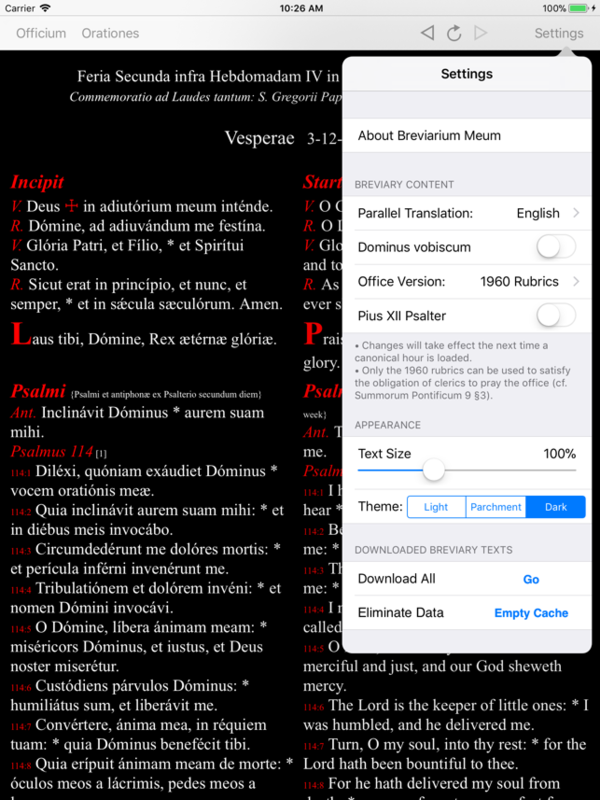 If I could I would humbly suggest another application similar to this one (or that could be built upon it): an application that included all the Gregorian Chant for the office - so that we could not only recite the breviary but also sing the antiphons and psalms. I would pay a lot of money for such an application! Many many thanks for this application! 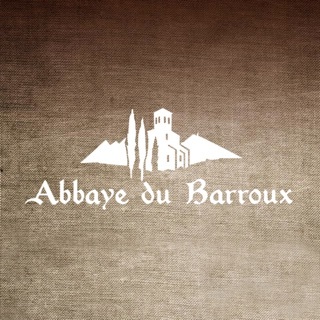 This app is wonderful! It is so much easier to use than a print Breviary! No fumbling over pages and ribbons and trying to figure out which office to use for a particular day. I am a postulant in a traditional Carmelite Third Order society. Don't ever let it go away! Deo gratias! Excellent...Traditional Breviary, not much else to ask for on a liturgical side of things. Technology wise, it'd be nice to be able to download readings within the week for times of no Internet connectivity.